Book summary: Sidney Davenport is known as Wildchild to her Guardian mentor, Greystone. She rebels against rules. 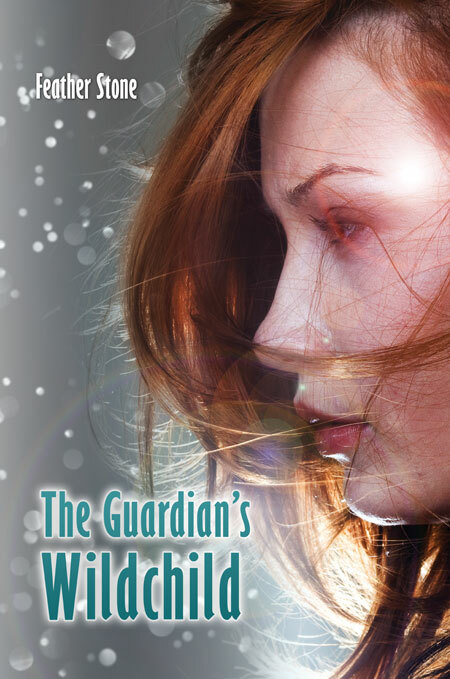 Wildchild is gifted in the paranormal, but carefully conceals her powers from the world. Even in the crises that threaten her life, she refuses to use her powers of telepathy, telekinesis, space/time travel. If her enemies discovered the truth of who she is, her Guardian people would be destroyed. She calls upon her spirit guides, Seamus and Celeste, to guide her through a mine field of the insane - Madame and Captain Butchart. 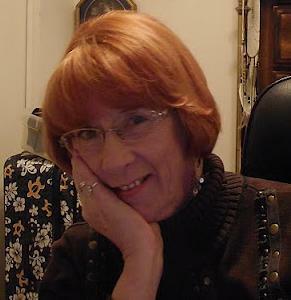 About the author: I am a Canadian. Okay, so you get a vision of a peacekeeper, right? Mountains and wheat fields. Correct! Oil rigs and Inuit communities. Sparkling rivers flowing throughout my nation and cold winters. Give yourself A+. To describe myself, I would have to say I'm as diverse as my beautiful country and its people. My husband gets a tad testy at times as I have several project in varying stages of completion all the time. These range anywhere from digging up my flower beds, training my sheltie, knitting another afghan, writing another novel, photography, geneology, the list goes on. I'm never bored - and I don't think my husband is. Oh, did I say that I also like to play poker, pretty good at it too. With all that activity, I also love quiet time, sit in silence in a forest, meditate, and slide into a shamanic dimension. I have experienced the paranormal since I was a child. Therefore, I don't think of these events as odd. They're gifts and I treasure and hold them as sacred. I met my spirit guide when I was about seven. Later, when I was drowning in a lake and laying on the sandy bottom, accepting death. My guide whispered, "If you stand you can breathe." I did as he beckoned and survived, obviously (LOL). Many times my guides have spoken to me, including my father a few years after he died. Now that was unexpected! I believe everyone is visited by his/her guide though we are often too busy to notice the stranger offering a moment of comfort or assistance. We are all capable of experiencing the paranormal, if you so choose. Sit in silence once each day, even if only for five minutes. Empty the chatter in your mind. Enjoy the bliss. My review: Despite a slow start, I had a feeling that The Guardian's Wildchild would only get better the longer I read. 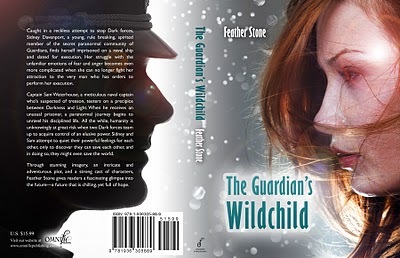 Author Feather Stone has infused a strong new ageness to her story of Sidney, the Wildchild of the title, while adding a futuristic setting, respect for the earth and nature, and never forgetting the intriguing lore of The Guardians (the secretive community of protectors of our world). This novel was certainly unlike any of the other books I usually read and that's a good thing. While I thought the pacing was languid in the beginning, the set-up for an adventurous ride was already being set in place. We first see Sidney as a child inside the meeting place of The Guardians, a strong willed girl with the ability to make even the most tight lipped person smile with her exuberance and refreshing nature. The world is a different place, having endured numerous natural disasters, and martial law is the rule of the land. We learn the Guardians are the secretive protectors of the earth but a Darkness has kept some asleep. Sidney is a Guardian, one of incredible power and purpose. This is just the beginning for our journey with this incredible character as she grows up, the world changes, and she is captured, accused of treason, and taken to a naval ship--making this my first naval dystopian novel. On board she meets her complete opposite, the rule following, disciplined Captain Sam Waterhouse, and as the saying goes opposites certainly do attract. Her warden and interrogator begins to soften towards her the longer he is around her and Sidney can't fight the growing attraction to him. Told from the alternating viewpoints of Sidney and Sam, as well as some other characters, I thought the addition of the other narrators slowed the pacing of what promised to be a faster paced novel if told only from the viewpoints of the heroine and hero. There is romance, espionage, mystery, twists and turns, all along with a paranormal vibe in this richly realized world. I was pleasantly surprised by The Guardian's Wildchild, a memorable novel and one to be experienced. Rating: I certainly enjoyed this unique novel. Cover comment: There's something about the position of Sidney, the wind blown hair, and the light which speaks to me. I like it. The cover may make you think this is a YA novel, it isn't but older, mature YA readers may like this. I found the complete cover on Feather Stone's website and had to share it. Now I truly 'get' this cover and I love it! Excellent review. I'm just getting into this novel so I'm excited to dive deeper into the pages. I agree the entire cover is stunning. It's a face-off!